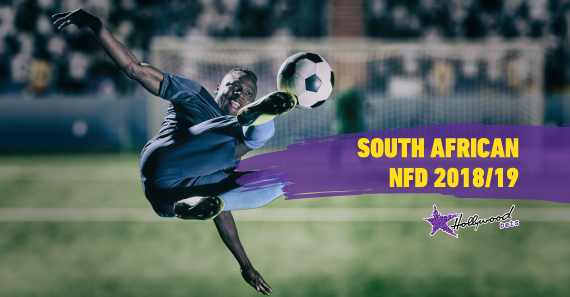 Our football writer previews the NFD Week 12 action which kicks off on Saturday 24 November 2018. Ajax Cape Town, who are eighth on the log, have parted ways with coach Muhsin Ertugral after enduring a four-match winless run. Assistant coaches Calvin Marlin and Dylan Dean will mentor the team in the interim. Royal Eagles have made it very clear that they won’t be hiring and have full faith in Sazi Ngubane who was called upon to take care of the team while the late Roger Sikhakhane was on sick leave. Ngubane’s Eagles beat Mbombela 1-0 before the FIFA break. My money is on Eagles to win away from home. This is a derby game between two teams that are at the very bottom of the table and it should be a compelling, make or break contest. After picking up only two wins in 11 games, Roger De Sa’s Cape Umoya United find themselves placed second from the bottom and the coach has bemoaned poor finishing as they head into the encounter off the back of five consecutive defeats. Ubuntu Cape Town picked up their first win of the season when they shocked second-placed Tshakhuma. I think Roger’s men will come unstuck and I’m betting on them to lose. omo Cosmos are winless in their last four games and the latest of those was a five-goal thriller they lost 3-2 against top-placed Stellenbosch. On the other hand, Real Kings have suddenly turned their fortunes around and won three and drawn two of their last five games to move out of the relegation zone. Their form will be tested against Ezenkosi team that has a good record at home with one defeat in their own backyard so far this season. This match should end in a draw.